One of Chicago’s Best-Known and Most-Respected Jazz establishments, historic Andy’s offers casually sophisticated dining with a musical menu of Chicago’s top Jazz Artists. Local performers cover a range of styles from Traditional and Swing to Bop, Fusion, Latin and Afro-Pop. Our “Spotlight Performer Series” events showcase some of today’s most “in demand” world touring musicians in an intimate setting. Just 2 blocks north of the Chicago River and 2 blocks west of the Magnificent Mile of Michigan Avenue resides Andy’s Jazz Club, an anchor of the now burgeoning River North district of downtown Chicago. 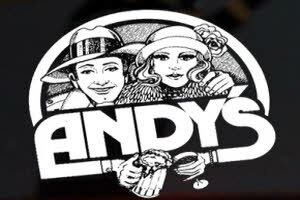 Originating in 1951 as an oasis for employees of the – at the time – booming newspaper industry that called this area of the city home, “Andy’s” was the work of entrepreneur Andy Rizzuto. Andy saw possibility in and purchased the red brick building at 11 E. Hubbard St., opening his self-named saloon in its street-level storefront. Serving shots, beer and pub grub to the ample waves of pressmen from the newspaper industry; Andy maintained his business throughout the 1950’s, 60’s & early 70’s.